...and takes some with her afternoon tea as well. This graphic novel written by Tim Hamilton was a lovely change from reading classics in a classical way. I really enjoyed the graphic art and I didn't find it to be harming the original novel by Ray Bradbury (who actually authorized this adaptation). 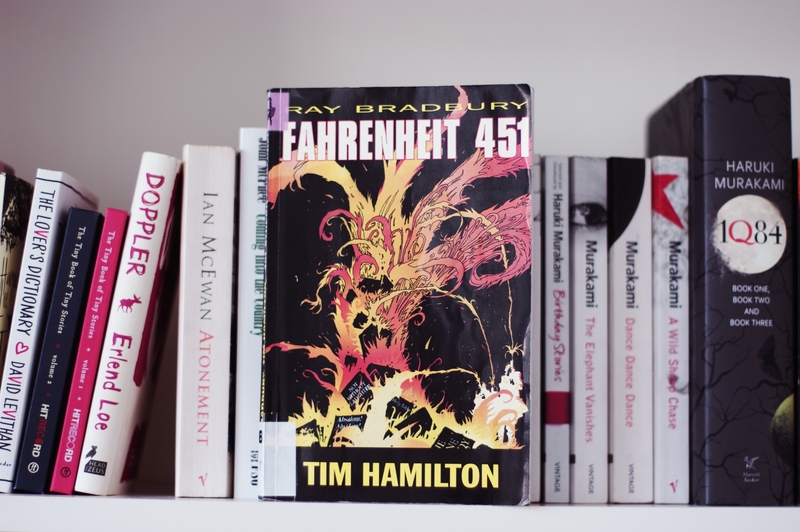 I don't think I have to explain the plot of Fahrenheit 451. It is one of the books that everybody (who haven't lived in a cave for the past sixty years or so) knows of. What I really enjoyed the most is that it didn't really leave that much out - all the well-known quoted parts were there and every time I read one of those I was like "there you are, I was expecting to see you here!" When I read the reviews on goodreads, many of them weren't very good, but I, for myself, can say that I thoroughly enjoyed the story (the story is not as important as the graphic art in this adaptation, clearly) as well as the graphic art which got me right from the beginning. 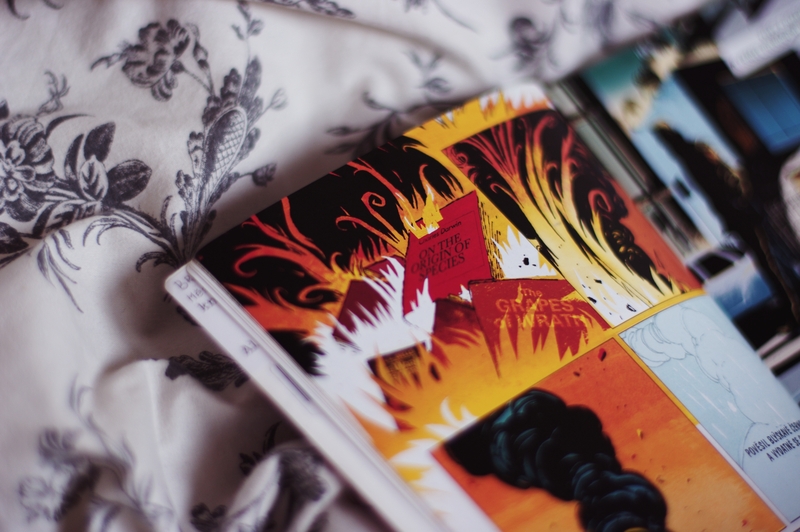 Also, I discovered this beautiful blog some time ago, called Words Dance (click-through link) and they have some beautiful Fahrenheit 451 cards that are way too lovely to be ignored.